GUTIÉRREZ: KEZAROVSKI MUST NOT BE IN PRISON! Ricardo Gutiérrez, Secretary General of the European Federation of Journalists, said at the end of his 2-day visit to Macedonia that the Federation was seriously concerned about the situation in the Macedonian media, citing reports from the European Commission, Freedom House and the US Department of State, Sloboden Pecat reports. “I came to Macedonia to share our views. We are concerned about the freedom of media in Macedonia. The reports of the US Department of State, the European Unions, and Reporters Without Borders reveal that the freedom of expression is getting restricted. We are also concerned about the pressure being put on certain journalists. I met journalist Tomislav Kezarovski in his home, of course, and I noticed he was very strong and full of faith and I believe he is so for he knows he is innocent. I told Ministers Fatmir Besimi and Ivo Ivanovski that a journalist in Europe would not be imprisoned based on those charges,” Gutiérrez said. Asked whether there were any signs that Macedonia could give up its European integration bid, Alexandra Cas Granje, Director for Macedonia, Montenegro, Turkey, and Iceland at the EC’s Directorate General for Enlargement, said at the press conference held in Skopje Tuesday together with Fatmir Besimi, Macedonian Deputy Prime Minister for European Affairs, that this was not likely although it was quite certain that the country was not going to be set a date for opening accession talks in December. “You know the recommendation of the European Commission. Our position is clear. We’ll see what the European Council decides but there is no danger for the recommendation to be retracted in a foreseeable future,” she said, adding that the dilemma should in fact be resolved by Mr. Besimi. Deputy Prime Minister Besimi said on his part there was no dilemma that reforms were being carried out for the good of the Macedonian citizens and that Macedonia’s commitment to EU membership remained strong regardless of whether the member states gave a green light in December to the recommendation for negotiations. - Macedonia is one of the first countries to benefit from the investment fund of 10 billion dollars for Central and Eastern Europe that the Chinese government announced last year, said Prime Minister Nikola Gruevski before the heads of government attending the summit “Central and Eastern Europe and China” that took place in Bucharest, Romania, Tuesday. Gruevski and the other 15 prime ministers of the countries of this part of Europe clearly said that China had open doors to capture the European market through this region. While Serbia requested a loan for building a water channel from Belgrade to Thessaloniki, and Romania for a nuclear power plant, Macedonia has already been approved a loan of 580 million euros from the Chinese Exim Bank for building the two highways from Skopje and Stip and from Kicevo to Ohrid. - Macedonian Foreign Minister Nikola Poposki participated in the International Security Forum in Canadian city Halifax where he met with ministers and experts from the sphere of security from Canada, Germany, Denmark and Slovenia. Poposki also met with Canadian Minister of Justice Peter MacKay and discussed about the obstacles on Macedonia’s NATO accession path. Following the visit to Canada, Minister Poposki is heading to Paris to meet with French counterpart Laurent Fabius. The name issue is high on German Chancellor Angela Merkel’s agenda and she is making effort to make sure this issue is resolved because in fact this issue is not just about the name but also about the stability of the country and the whole region, said Christoph Heusgen, Chancellor Merkel’s closest foreign policy associate, at the first conference of the Konrad Adenauer Foundation in Berlin only a few days prior to Greek Prime Minister Antonis Samaras’ meeting with Chancellor Merkel on Friday, Deutsche Welle reports. “In fact, this is not just about the name, but also about the stability of the country and the region. 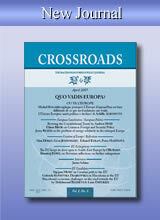 In early 2001, the country faced a civil war and interethnic tension, which has not yet been fully overcome. Therefore, the resolution of the name issue is going to help avoid violence because the country will also become a NATO member state. You can rest assured that this issue is high on our agenda although perhaps it does not seem so. In a brief break from the coalition negotiations, the Chancellor met UN-appointed name dispute negotiator Matthew Nimetz, too. This should be a sign to the countries that we keep this subject high on our agenda,” Heusgen, chief of the department for foreign, security and development policy of the German Government, said. - In the draft resolution of the EP, Richard Howitt, Rapporteur for Macedonia at the European Parliament, appeals to the Council of the EU once again to set Macedonia a date for opening accession negotiations in view of the latest EC progress report on Macedonia. He further says that he believes Macedonia has met enough the Copenhagen criteria and shares the EC’s opinion that by opening Chapters 23 and 24 on justice, democracy and human rights considerable progress will be made in many areas of particular interest to certain member states. 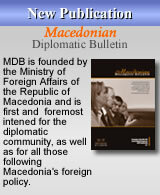 - Macedonian Foreign Minister Nikola Poposki is to pay a working visit to Canada from 20 to 23 November. During the visit, Poposki is to visit Ottawa, Toronto and Halifax where he is expected to hold several meetings with Canadian politicians and Noel Kinsella, Speaker of the Canadian Senate. During the visit, meetings with the Macedonian Diaspora in Canada are also envisaged. DIRECT NAME ISSUE TALKS UNDER BRUSSELS’ AUSPICES AS OF DECEMBER? Two expert teams should be formed in Skopje and Athens to immediately begin looking for a solution to the name issue behind closed door. Negotiations would be mediated by the European Union with dominant German influence. The moment the negotiations come close to a solution, politicians would get involved too and with shuttle diplomacy similar to that employed during the negotiations between Belgrade and Pristina a compromise would be reached. This, according to Sloboden pecat’s unconfirmed information, is the scenario the details of which are being defined in both Athens and Skopje. The governments of Macedonia and Greece are expected to voice their view on the new framework soon, in the run-up to the December summit of the EU. Skopje is said to have already accepted the initiative and that it is Athens’ response that is being awaited now. The UN is also expected to accept the initiative. If the response from both Athens and the UN is positive, the start of the negotiations will be announced at the summit in December with much fanfare considering that at the moment there is almost no communication between the two countries either official or unofficial. - Srgjan Kerim, President of the 62nd Session of the UN General Assembly and former Minister of Foreign Affairs, said in an interview with the Press 24 web portal that he may run for president in the coming presidential poll provided he is supported by a political party. He has not tabled the possibility with any political party thus far though. - President Gjorge Ivanov met Thursday with United States Deputy Assistant Secretary of Defense Evelyn Farkas. They exchanged opinions on the future cooperation in defense and according to Farkas, her country will keep supporting Macedonia’s NATO integration. - Prime Minister Nikola Gruevski during his official visit to Slovenia met Wednesday with Slovenian President Borut Pahor and jointly concluded that the relations between the two countries are excellent and Slovenia remains an active supporter of Macedonia’s Euro-Atlantic integration. PM Gruevski also met with Slovenia’s Prime Minister Alenka Bratusek and discussed about enhancing the economic and trade relations. - The Republic of Macedonia on Tuesday was elected as a member of the United Nations Human Rights Council for the period January 2014 – 2016. Macedonia’s nomination was endorsed by 177 countries out of 193 UN member-countries and the membership represents additional impetus for improving the situation of human rights in Macedonia. Harsher rhetoric between VMRO-DPMNE and BDI and the EU agenda stepping down a few notches on the list of priorities, according to analysts, are the certain consequences to be felt in the governing coalition if Macedonia is denied again a date for opening accession negotiations with the EU at the summit of the European Council in December because of the pending name dispute with Greece, Nova Makedonija says in its front-page analysis Tuesday. When Macedonia was not even put on the agenda of the EU leaders’ summit in June, BDI appealed for finding a solution to the name issue by December this year. Ali Ahmeti’s party said then that mediator Matthew Nimetz’s latest proposal should be directly discussed over the following few months and the dispute should be resolved by the time of the next summit in December. “Macedonia has to move forward. Therefore, something has to be added or upgraded on the political stage, something that will be an encouragement and impetus for things to get back on track. We don’t need dead heroes, but live victors. We are going to work for the good of the citizens, we are going to transform ourselves and make transformations so the citizens would not want to leave the country,” Ljupco Zikov, journalist and owner of Kapital, said to the 600 delegates at the inaugural meeting of the Alliance for Positive Macedonia held at the Macedonian Opera and Ballet on Sunday upon being elected its chairman with acclamation as the only candidate. Businessman Minco Jordanov is going to chair the Council for Positive Macedonia, which is going to consist of top experts in various fields, while former Prime Minister Vlado Buckovski will be part of the presidency. These three are the driving force of the movement that is open to all citizens of any ethnic group and that will soon grow into a political party. - Albanian Prime Minister Edi Rama met Wednesday with the Macedonian state leadership. During the talks with PM Nikola Gruevski, Rama stressed that Albania is interested in intensive relations with its neighbors, especially with Macedonia. Macedonian Prime Minister Gruevski underlined that all challenges in the neighborliness must be overcome through constructive policy in the spirit of the European cooperation. - UN mediator Matthew Nimetz met Tuesday with German Chancellor Angela Merkel and discussed about how far the name issue between Macedonia and Greece has come. The carefully written press-release following the meeting read that Chancellor Merkel assured mediator Nimetz that Berlin will continue supporting his work and the final solution must be acceptable for both sides. - Robin O’Neil, the first mediator in the Macedonian-Greek dispute, stated that in the past 20 years, Greece negotiates with bad intentions and the latest proposal “Slav-Albanian Macedonia” is the biggest insult from Athens. - Commenting on the proposal of Greek negotiator for renaming Macedonia “Slavo-Albanian Macedonia,” renowned US analyst Daniel Serwer said that this idea is surely the most offensive maneuver of recent time. According to Serwer, Greek Prime Minister Antonis Samaras has been championing a policy aimed to trigger the collapse of Macedonia. The Republic of Macedonia should be allowed to immediately open membership negotiations with the European Union as the bilateral name dispute should be resolved in parallel with the negotiations considering the country has met the required conditions for opening accession talks a few years ago. Macedonian Foreign Minister Nikola Poposki told MIA this was the crucial message from the ministerial meeting of the countries of the Visegrad Group and the Western Balkans held in Budapest Thursday (31 October). The central topic of the meeting, also attended by EU Commissioner Stefan Fule, is the European integration of the Western Balkan countries and the challenges on their path toward the EU. - MEP Richard Howitt said Wednesday that Macedonia is prepared to launch the negotiations with Brussels but until December Summit the country must convince not only Bulgaria and Greece but also the other countries that it is prepared for the next phase. The British rapporteur ended his three-day visit to the country with three recommendations for Macedonian politicians – to meet the obligations from the ad-hoc commission tasked with the events of 24 December, make progress in the relations with Bulgaria and progress to be seen in the freedom of expression. Howitt demands both the government and opposition to work in interest of Macedonia’s European aspirations. The EC report on Macedonia’s progress is very important and good for the country, said Richard Howitt, British MEP and rapporteur for Macedonia at the EU, and Aivo Orav, EU Ambassador to Macedonia, at the meeting of the National European Integration Council in Skopje Monday. Mr. Howitt also said the country should be set a date for opening accession negotiations with the EU because the status quo was bad for it. “The comments I make in Brussels clearly show that this country cannot remain in a status quo. It is not right to refuse this country’s aspirations for membership year after year. The position of the EC, of the EP and my personal position is that the Copenhagen criteria have been met enough. But it also fair to say that some EU member states – not only your neighbors but also a number of other countries – disagree with this. This is what we need to discuss before December – what we should do to convince these countries that the Copenhagen criteria have been sufficiently met,” Howitt said. - MEP Richard Howitt in the next three days in Skopje is to look for arguments on how to convince the EU countries to allow Macedonia in December start of the negotiations. On Monday in the Parliament Howitt requested MPs to give details on the bad experience that Macedonia has from these five years of blockades from Greece and stressed that it is not okay for the EU to once again reject Macedonia. During his visit, Howitt will meet with all leaders of political parties and on the last day, at a press-conference, he is to give his own assessment on the visit. - Prime Minister Nikola Gruevski following the European People’s Party Summit on Thursday said that the developments related to the European Union economy were the main topic. Gruevski said that there is an impression that the Union’s economy is recovering but as European Council President Herman Van Rompuy said, the EU has not surpassed the crisis yet. On Friday, Gruevski is scheduled to meet EU Enlargement Commissioner Stefan Fule and the meeting shall focus on the latest EC report on Macedonia’s progress. CNN, the US basic cable and satellite television channel, signed a deal with the television channel N1 to air program in the region of the Western Balkans. The start of the program has been scheduled for 2014 from the studios in Croatia, Serbia and Bosnia-Herzegovina. Media in the region report that the project has been developed for a long time, as CNN said that this was their first regional news program in the territory of former SFRY to be watched by 20 million people, broadcast in the beginning from the studios in Zagreb, Belgrade and Sarajevo and later from other cities in the region as well. CNN sees in this undertaking a new chance for expansion and influence bearing in mind that frequently they were the precursors of global processes. Also, according to some, the reason for this expansion is the fact that apart from being turned to the Euro-Atlantic structures, the countries of the Balkans have also directed their eyes toward the East. Analysts say that CNN and Al Jazeera’s interest in the region is a sign that the region is interesting to report from. - Mediator Matthew Nimetz is set to hold meetings with Zoran Jolevski and Adamantios Vassilakis, the Macedonian and Greek negotiators, in New York on Thursday and Friday. Following Mr. Nimetz’s September visit to the region which produced no results, this is another attempt at bringing the conflicting positions closer together. According to Utrinski vesnik’s Athens-based correspondent, in Greece there are no optimistic expectations of the new meetings. On the first day of his visit to the People’s Republic of China, Macedonian President Gjorge Ivanov had meetings with the managements of three Chinese companies interested in striking economic cooperation with the Republic of Macedonia. They are China State Construction Engineering, the largest construction company in China, Sinohydro Corporation LTD, which is going to build the Skopje-Stip and Kicevo-Ohrid highways and the oil company Sesai Jialijia Petro Chemical Equipment. The management of the state construction company, involved in the project of investing 10 billion dollars in the road network of the countries of the Central European Initiative, informed President Ivanov about their interest in making investments in Macedonia. To this end, a special team of the company is already paying a visit to Macedonia considering the possibilities of implementing infrastructure projects. President Ivanov told them about the possibilities that the free economic zones offer and about the effort the Government makes to create a better investment environment. The Judicial Council of the Criminal Court in Skopje sentenced Nova Makedonija’s journalist Tomislav Kezarovski Monday to four and a half years in prison for revealing the identity of a protected witness in the case Orese with his reports published in the newspaper Reporter 92 in 2008. The other indictees in the case Liquidation, including judges, lawyers and prosecutors, were all handed down imprisonment sentences of 1 to 5 years. In their closing statements, they all pleaded not guilty. Dunja Mijatović, OSCE Representative on Freedom of the Media, expressed deep concern about the sentencing of journalist Tomislav Kezarovski to four and a half years in prison. “I am appalled by today’s sentence. This excessive conviction is a worrying development and sends a clear message of censorship to other journalists in the country. Today’s verdict has serious consequences for free expression and media freedom. Criminal prosecution of reporters for their journalistic activities violates the fundamental human right to free expression and the country’s OSCE commitments to develop and protect free media,” Mijatović said. - President Gjorge Ivanov, as of 21-24 October, is to pay a working visit to the People’s Republic of China, where he is to meet with Chinese President Xi Jinping. During the visit to China, a visit to China’s province Sichuan is planned where the 14th International Forum for Western China will be held. President of the State Election Commission (SEC) Boris Kondarko has resigned for personal reasons. His resignation has already been submitted to the Parliament and will probably be reviewed at Monday’s session. Kondarko was appointed SEC President upon the proposal of opposition party SDSM. The European Commission issued the Republic of Macedonia Wednesday (16 October) the fifth recommendation for opening EU membership negotiations. In addition to negotiations, the report, which EU Enlargement Commissioner Stefan Fule already presented at the European Parliament, also recommends an immediate start of the screening process (primarily Chapter 23 on freedom, justice and security, and Chapter 24 on judiciary and fundamental rights) and a new negotiating framework for the talks with Greece for resolution of the name issue. The EC is doing this, the report further adds, with the aim of keeping the credibility of the Union’s enlargement. The European Commission says in its report it is confident that the decision for opening accession talks will contribute to creating favorable conditions for improving good-neighborly relations in general and to seeking out a mutually acceptable solution to the name issue in particular, which is vitally important.